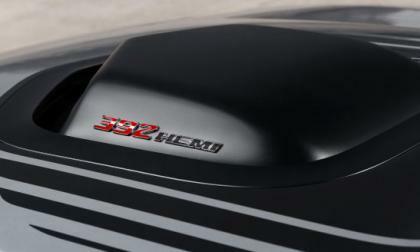 While I have been covering just about every aspect of the 2015 Dodge Challenger over the past few weeks, a few readers have written in, asking about the availability of the unique Shaker models and while they are most certainly on their way – they won’t be hitting showrooms until the spring of 2015. 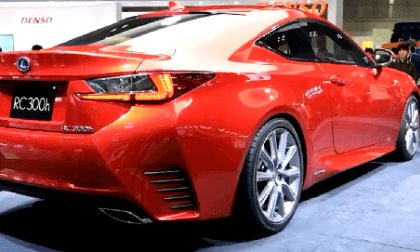 And why we think it is the right move by Lexus. 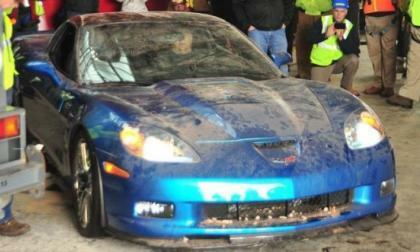 If you were planning to make a trip to Bowling Green Kentucky to visit the National Corvette Museum to view the 8 cars damaged by the sinkhole back in February you had better plan your trip very soon, as the first of the Great 8 – the Corvette ZR1 Blue Devil – is scheduled to head to Michigan for a full repair in early September. No hype, based on economical performance, cutting edge drive-train, design and value, We predict that Acura TLX will be Motor Trend’s 2015 “Car of the Year”. Yes, it's that cutting edge. 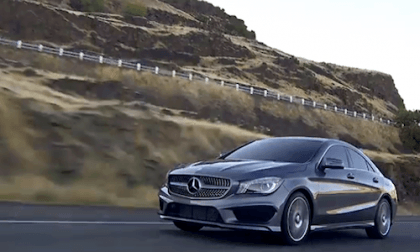 The 2014 Mercedes-Benz CLA-Class four-door coupe saved this stuntman’s life. What potential life-changing accident happened? 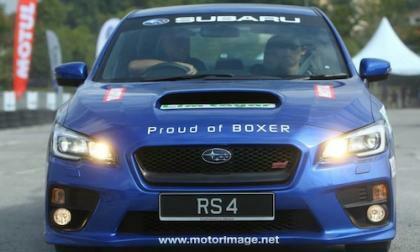 The 2015 Subaru WRX and WRX STI makes its dealer launch in Malaysia. Why won’t WRX fans be able to buy a 6-speed manual? 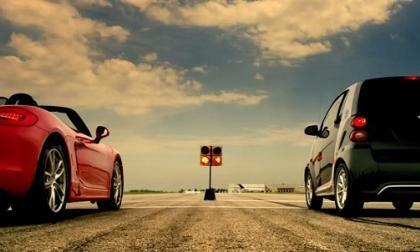 Could the pint-sized electric vehicle from smart possibly defeat iconic performance cars in a drag race? No, of course not. But it makes for one entertaining advertisement with a great knockout punch at the end. 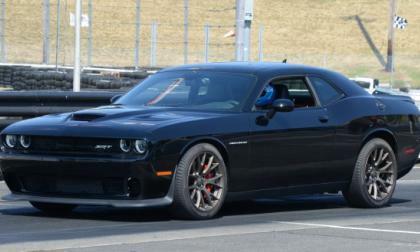 While the NHRA has certified that the 2015 Dodge Challenger SRT Hellcat will run 11.2 with stock tires and an experienced racer, my observations at the media launch of the 707hp beast lead me to believe that anyone who is racing on a well prepped drag strip will be able to run in the 11 second range – even if they have very little racing experience. A handful of American tuning companies have helped the new Chevrolet Camaro Z28 but for European owners who need more power from the best handling GM muscle car ever – German tuner Geiger Cars has a package that ups the output to 620 horsepower. Will 2015 redesign help Toyota Yaris Versa the Fit? Toyota applies the corporate look to the smallest of its models. Will the look elevate sales as it has other models? 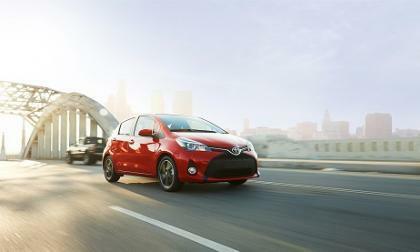 Read more about Will 2015 redesign help Toyota Yaris Versa the Fit? 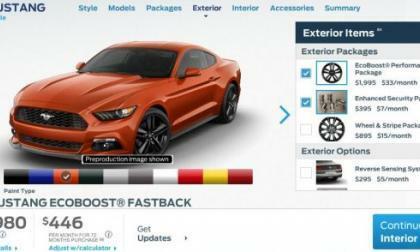 While the 5.0L V8 will power the most powerful 2015 Ford Mustang fastbacks and convertibles, the big story for the next gen pony car is the new EcoBoost models – and today we walk you through the pricing for the new turbocharged S550 Mustang. 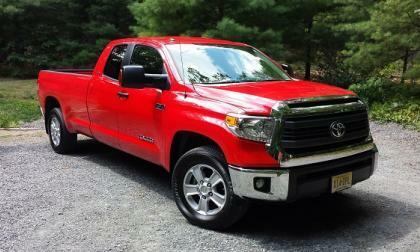 In our review of the 2014 Tundra Double Cab we do the usual things, but also enlist the help of a mechanical engineer, homebuilder, father, and lifelong Ford F-150 owner. 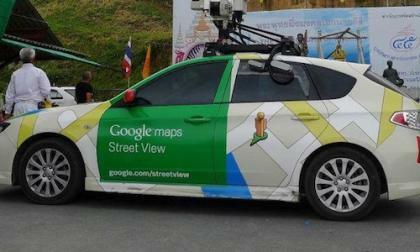 Google Maps uses specially-outfitted 2014 Subaru Impreza to conduct surveys. What did this Google driver do that was so strange? 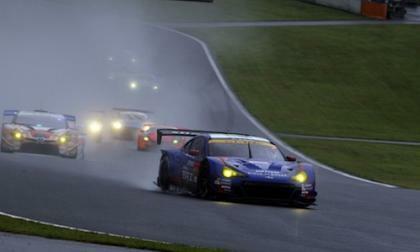 The 2015 Subaru BRZ GT300 team gets their first win of the season at a rain-soaked Fuji Speedway. What made the win so special? Has General Motors learned its lesson from the unreasonably high expectations it encouraged for the first-generation Chevrolet Volt? 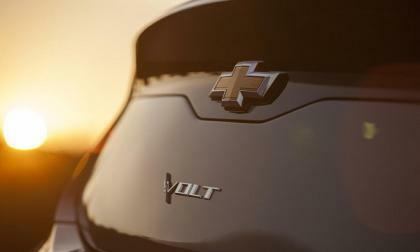 The automaker has toned down its position on the upcoming 2016 Volt and is reconsidering its marketing strategy. Tesla Model R to spectacularly succeed the Roadster sooner than expected? Tesla Motors’ first car, the Lotus-based Roadster, ended production in 2012 so the company could focus on the higher-volume Models S and X. A new report suggests the Roadster will be revived in 2017, although we find that timetable unlikely. 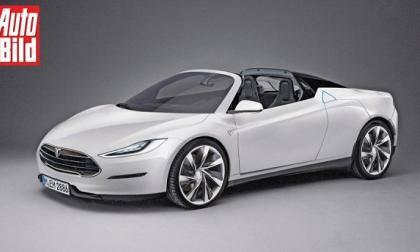 Read more about Tesla Model R to spectacularly succeed the Roadster sooner than expected? 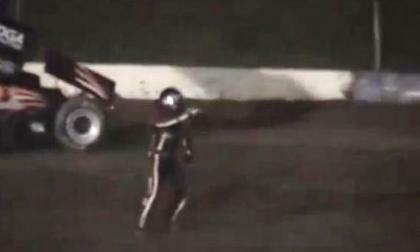 During a sprint car race at Canandaigua Motorsports Park last night, 3 time NASCAR champion and well-known hothead Tony Stewart ran over and killed 20 year old Kevin Ward, with the sickening event was caught on amateur video by fans in the crowd. 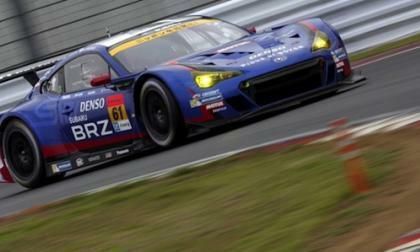 The 2014 Subaru BRZ GT300 is the fastest car on the track and qualifies number one for the second time. Did Subaru use World RX of Canada to prep for return to WRC in the 2015 WRX STI? Subaru entered the STI GRC car in World RX of Canada. 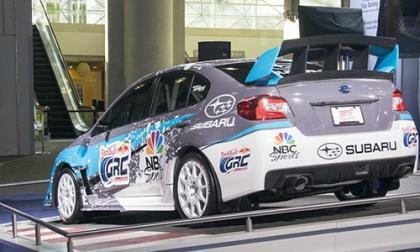 Is Subaru eyeing a return to WRC in the 2015 WRX STI? 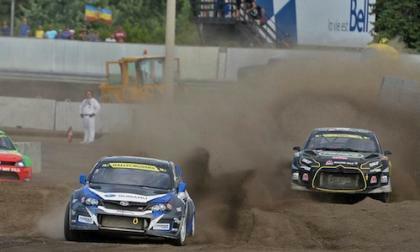 Read more about Did Subaru use World RX of Canada to prep for return to WRC in the 2015 WRX STI? Will Subaru return to WRC with a startling new 2015 WRX STI? Subaru is preparing to make a new commitment to motorsport. Will it be a return to WRC in the 2015 WRX STI? Read more about Will Subaru return to WRC with a startling new 2015 WRX STI? 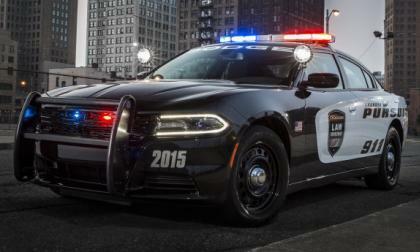 The Chrysler Group rolled out information of the new 2015 Dodge Charger Pursuit and while this is all bad news for street racers, the next generation Hemi powered cop car might just be the coolest police car ever – with the power and the look of the Charger R/T applied to a hard working special service vehicle. 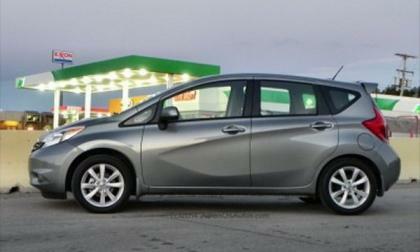 The lowest-priced car on Kalley Blue Book's annual Back-to-School Cars list is the 2014 Nissan Versa Note. 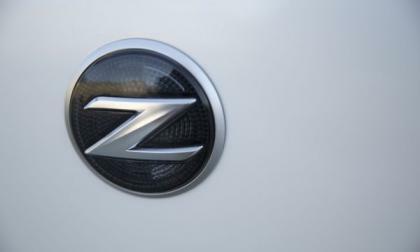 Nissan has announced pricing for the 370Z Coupe, NISMO and Roadster models. Fluctuations are up and down and model trim levels expand throughout. 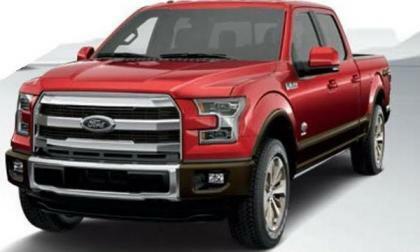 The 2015 Ford F150 will come in five different trimlines at launch and while the pinnacle of half ton luxury comes with the Platinum package, those folks who want a luxurious F150 with more customization options can opt for the 2015 King Ranch package – which comes with a set of appearance packages that change the look of the exterior. 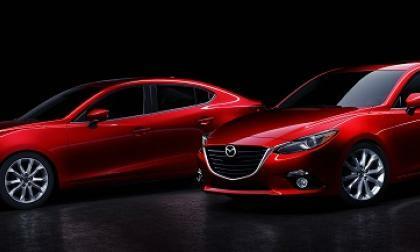 Although Mazda didn't issue any formal announcement yet, the new combination is appearing in official places. 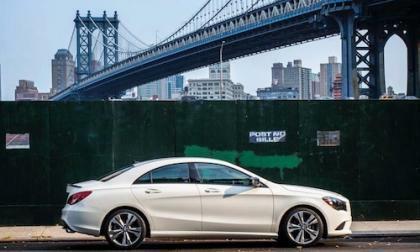 The 2014 Mercedes CLA-Class is the hottest new offering from the German automaker. What sets it apart? Can an automaker make a virtual car for gaming and then not make it a production model. 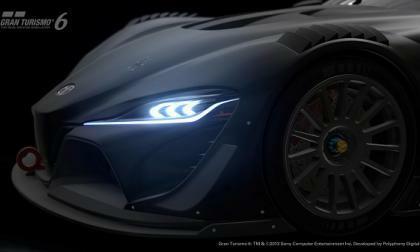 Maybe, but the evidence is mounting that the Toyota FT-1 will be the next Supra. Arguably the most polarizing car America has ever seen, the Chevrolet Volt is finally getting a major redesign. The next-generation Volt will make its first appearance at the North American International Auto Show in Detroit this January, and we can’t wait. 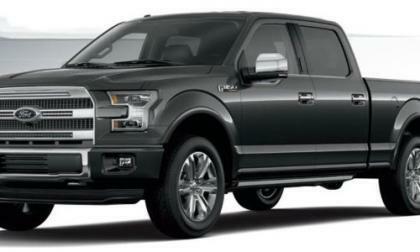 As part of the recently released 2015 Ford F150 Appearance Guide, the Motor Company offered up a couple pictures and a list of standard features for the top of the line Platinum model – giving us our first in-depth look at the premium luxury version of the new F150. 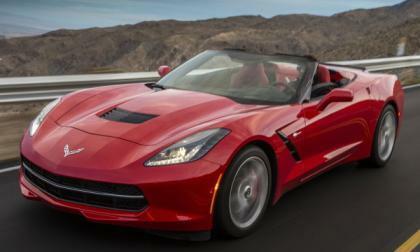 The C7 Chevrolet Corvette Stingray continued its string of strong sales months in July 2014, moving enough units to destroy the Dodge Viper along with beating all of the Porsche sports cars – Combined.